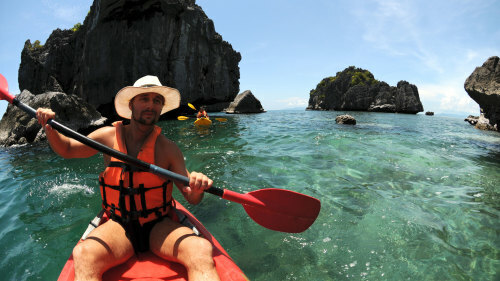 Admire the spectacular archipelago of the Ang Thong National Marine Park by sea kayaking across crystal-clear waters. 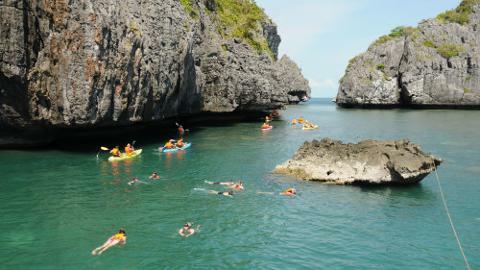 Popularized by the movie The Beach, the 42 islands are dotted with white sandy beaches, sheer limestone cliffs, hidden lagoons, caves, and secluded bays. Begin your morning with a comfortable hotel pickup and head for the Bangrak Pier. 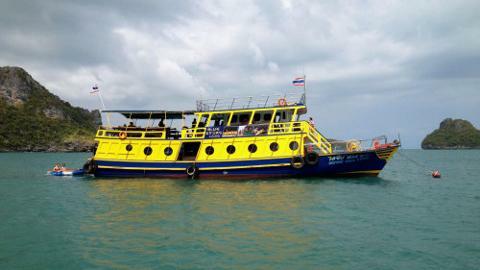 Board an extraordinary 57-foot (23-m) boat, which awaits you with a light breakfast to enjoy on your way to Ko Mae Ko. 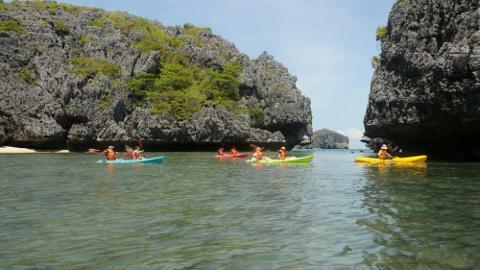 Upon arriving, hop into your kayak and steer your way toward the spectacular horizon. Proceed to the nearby beach and take a hike toward the gorgeous salt water lake, Green Lagoon, to admire the opulent scenery and harmonious ambiance. 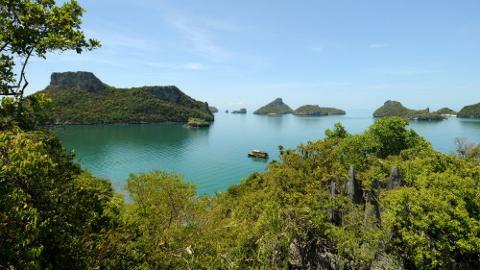 Next, enjoy a delicious buffet lunch while viewing the northern waters of Ang Thong National Marine Park. Navigate toward Ko Tai Plao to discover magical caves and bizarre rock formations as you admire the beauty of Mother Nature. Continue your fun-filled day with a chance to snorkel and sunbathe at the serene beaches before heading back to your hotel. Itinerary & timings subject to change due to weather and sea conditions.